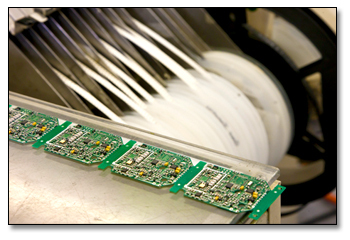 For more information about our PCB Engineering Services click here to contact us. Our PCB Engineering services specialize in embedded hardware and software design and rapid prototyping services. From a hardware standpoint, we can provide schematic capture, PCB layout and rapid prototyping services. Our hardware design skills include development with all major microprocessor families, analog circuit design, FPGA development and power supply design. Software experience includes embedded development with all major microprocessor families and custom PC applications. Once the product is complete, our PCB engineering can aid in the UL certification and EMI testing and provide on-going support with manufacturing and can also provide obsolescence redesign, component specification services and test fixture design. Our PCB engineering group has extensive experience in design and layout through prototyping for a wide range of industries and markets. Because of our diversity we can accommodate must product development needs due to our work in different types of applications and layout needs. All of our engineering services complement our contract assembly and manufacturing services to create a truly turnkey solution for product development and electronics manufacturing to OEMs.